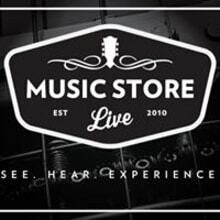 At Music Store Live, our goal is to revolutionize the way gear is bought online. It's not just about videos and know how; it's about the person on the other end of the line. Whether you are in Tokyo or Toledo, we invite you to experience the reality of a living online music store and help us shape the best buying experience possible. We strive to offer the best gear, the best online experience, and the best personalized service in the industry. We invite you to get to know our team, and we would love the opportunity to get to know you too! We're Having A Sire Sale!